Hey there! I hope y'all had a great weekend! Mine was the perfect mix of work (travel to do list & house work), relaxation, and a little fun. We visited a super neat store in Fort Worth, which I'll be blogging about later, that was jam packed with antique furniture and old home goodness! Great little last minute addition to the weekend. Of course it could have been longer, but alas it is Monday again. Anyway, I'm excited to start transitioning to sharing a new city today. 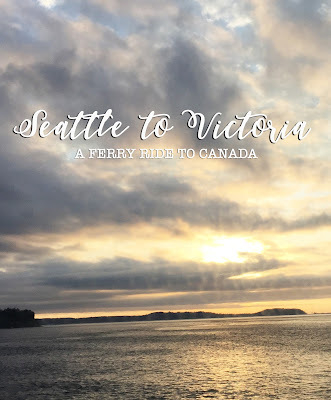 Let's take a journey from Seattle to Victoria aboard a ferry. During one of my weekend stays in Seattle, we decided to take a journey to Canada. I rushed my passport a few weeks ahead, and we hopped on a boat for Canada! We could have driven, but decided on a passenger ferry instead. We took the Clipper Ferry to the beautiful town of Victoria, British Columbia, Canada. The ferry was a passenger ferry that left Seattle for Victoria early in the morning. 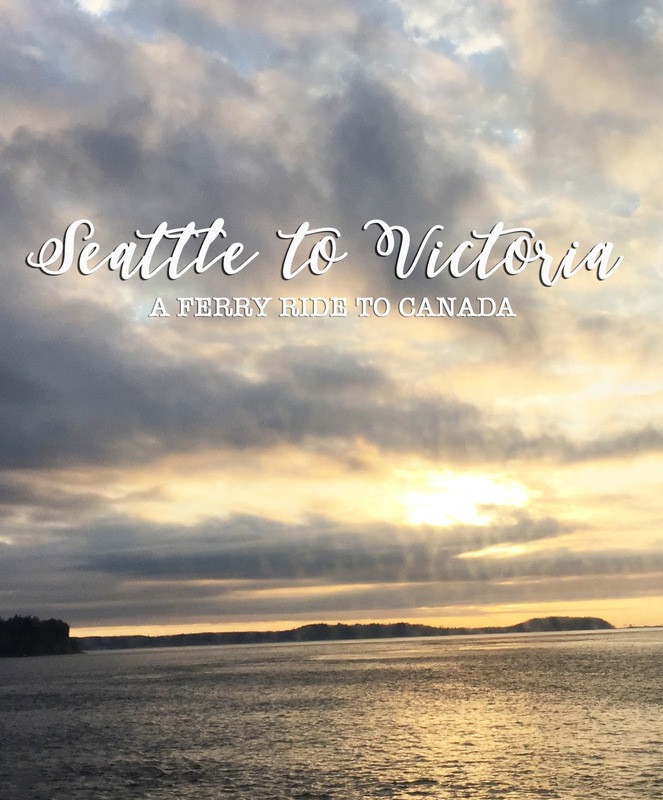 We elected to go to Victoria, then return to Seattle later the next day, but there is an option to go there and back. However, there is way too much goodness in Victoria to not spend at least one night there, but more on that later! Anyway, more on the ferry itself. Like I mentioned, it is a passenger ferry, so no cars, but we were able to reserve a rental car while on the boat! The attendants can reserve rental cars and book excursions/tours, which is a very nice feature! Along with that, it was really nice to not have to do the 5 hour drive it takes to get to Victoria from Seattle. With the ferry we were able to sit back, relax, and enjoy the scenery. The ride was less than 3 hours, but we enjoyed beautiful sights along the way. Not to mention, we saw the city of Port Angeles and the Olympic peninsula in the distance. Any Twilight fans out there!? We also enjoyed talking about our time in Seattle, plans for Victoria, and napping a bit. The ferry also serves light refreshments to keep you held over until you reach your destination. We booked a ferry cruise & hotel stay package with Clipper Ferry, and were incredibly pleased with the entire process and trip. This was a wonderful addition to our Seattle stay, and I would definitely do this again! If you're on the fence about adding this to your Seattle or Victoria (to venture to Seattle) vacation, hopefully this will help you decide!